When you are making transactions or dealing with cryptocurrency, a mobile wallet is of utmost importance. Since being with PC is not always possible, but we have mobile all the time, And so comes mobile wallets. These mobile wallets are available for various Operating systems like IOS; android etc. let’s see a few mobile wallets that are compatible with Android OS. Let’s check what the advantages these mobile wallets offer. They are more practical and more straightforward to use than other wallets. They have a lot more additional features as compared to hardware wallets. The point where you have to give concern is that your phone is open to malware. Before you determine the best crypto wallet for your android, you have to consider specific factors. The first one is the type of cryptocurrency you want to deal with, like depending on if it is bitcoin or Ethereum or altcoins, the choice for the wallets to change. let’s see a few mobile wallets that are for Android OS. Powerful and made accessible to use bitcoin wallet. Account creation is straightforward with just a username and password. Wallets are hierarchical with changing addresses per transaction. You can Search transactions by the payee or the category. There are certain limits for spending, and if higher than that, you will need to give your password or pin. These Wallets function even if servers are down because of their Decentralized server architecture. The next multi cryptocurrency wallet is bread wallet. 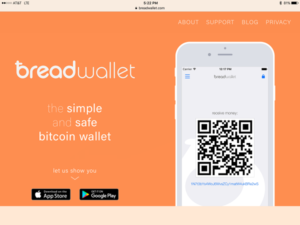 Bread wallet is just like your on-ramp to bitcoin. Inbuilt and safe, These bread wallet gives you the entire control over your bitcoin transactions by enabling Sending and receiving bitcoin payments instantly, in addition to safety. Storing your bitcoin safely and securely using built-in hardware encryption. Simple recovery phrase helps you in recovering funds when your phone is broken or lost. This wallet is open source and free. There are no extra transaction fees or costs. You can send any amount of money to anyone in the world instantly. Your private keys would not be available for any external person. Techniques of strong public cryptography are employed. encryption of the wallet is done with a password, and this makes it resistant to hackers and malicious software. Spending your funds is anonymous, and none of your personal details goes through this wallet. Pushes transactions to the blockchain, hiding your transactions from the outside world. It’s new and one of the most private and securely available. It has an AES-256 encryption military-grade encryption which gives the app greater protection from hackers. 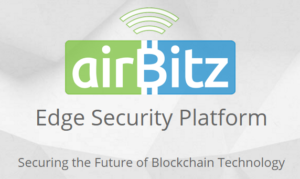 By allowing Hierarchical Deterministic Wallets, it adds on to security. It requires experience to operate this.